The Beatles are streaming multiple versions of “Back In The U.S.S.R.” as a preview to the upcoming 50th anniversary reissue of The White Album. Fans can hear the new 2018 stereo mix of the song by producer Giles Martin and mix engineer Sam Okell, an instrumental backing track from studio sessions, and an early acoustic version from the Esher demo series. The project will issued in a 7-disc Super Deluxe box set package, a 3CD Deluxe edition and a 2LP vinyl version, with all formats presenting a new 2018 remix of the landmark record. 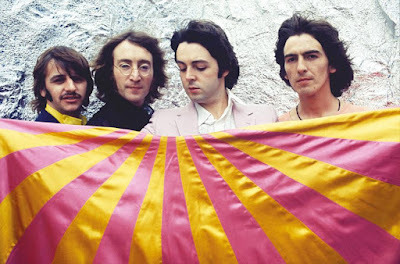 “The White Album” debuted and/or reached the top of the charts in countries around the world upon its original release, while it went on to earn 19x Platinum status in the US for sales of 9.5 million copies.